115g unsalted butter, plus extra to grease. Preheat oven to 200C. Melt a little butter and grease two ramekins. Place the ramekins on a baking tray to make them easier to handle. Melt together the chocolate and butter, stirring until smooth. 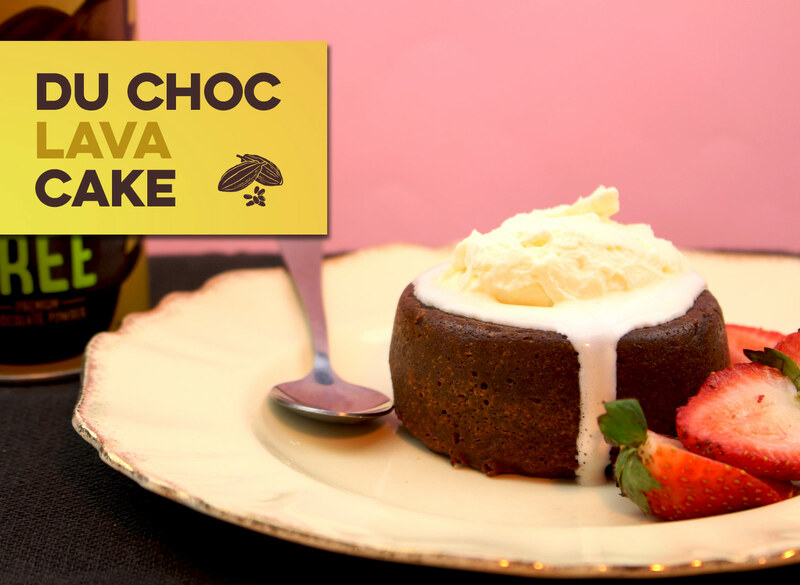 In a separate bowl, combine Natvia, Du Chocolat and flour. Pour into the chocolate mix and stir together until smooth. Pour the mixture into the ramekins, filling until about halfway. Bake for 16-18 minutes. The top will be set, but the centre should still be soft. Serve with berries and whipped cream.